Welcome to the first issue of RenoZEB’s newsletter! This edition is the first biannual newsletter that will be sent in the framework of RenoZEB EU project. It aims at updating you about the progress of this project and share with you news and events from all around Europe on nearly Zero Energy Buildings (nZEB). RenoZEB is a new Horizon 2020 project with a three-and-a-half year duration (October 2017 - March 2021). 19 partners from nine countries will work together to unlock the nearly Zero Energy Building (nZEB) renovation market by increasing property value through a new systemic approach to retrofitting. This will include innovative components and processes and decision-making methodologies to guide all value chain actors in the nZEB building renovation action. The RenoZEB project will develop a holistic, cost efficient and fast deep renovation process supported by ICT tools and low-disturbance technological solutions. 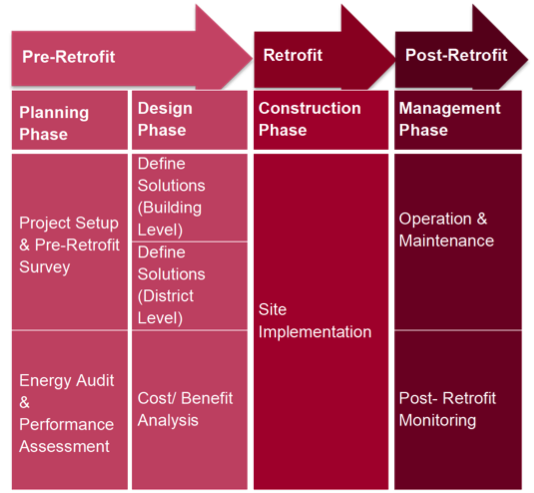 It will cover the four phases of a renovation (planning, design, construction and management) and be guided by three main drivers: cost reduction, time reduction and net primary energy use reduction. Through two real and three virtual demonstration cases the project will demonstrate and ensure the replicability of the schemes and technical tools to appropriately address the valorisation of the building stock before and after nZEB renovation schemes are applied. Nearly Zero Energy Buildings’ (nZEB) construction and renovation is a big challenge for the construction industry. 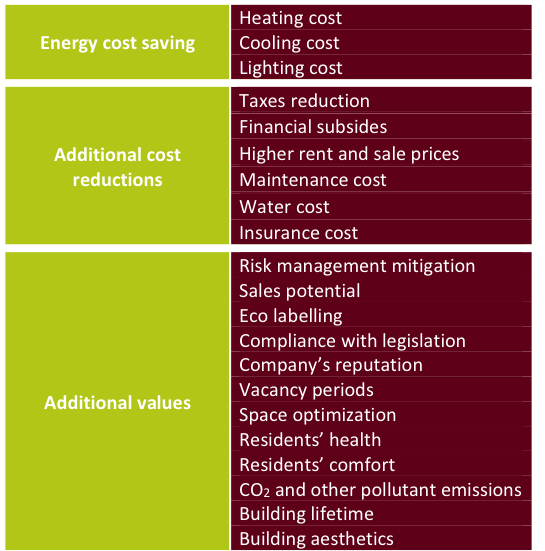 The simplest way to achieve a nZEB is to drastically reduce building energy use through efficiency, and to directly implement renewable energy systems to balance a building’s energy consumption. Even though the technology to cost effectively build new nZEB buildings exists, the strategy to apply the nZEB principles in the existing building stock can largely differ from one building to another. There are many barriers to effective implementation of energy use reduction and renewable energy installation strategies in existing buildings, which make owners and tenants reluctant to invest. Through a holistic methodology, RenoZEB will propose solutions to overcome these barriers, and develop and demonstrate a new multifunctional modular “plug and play” system with enhanced replicability and adaptability to capture a large-scale renovation market. 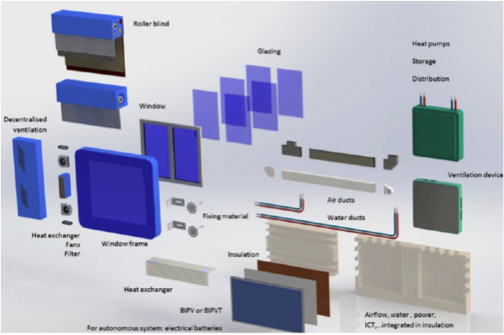 This system will be able to integrate the most innovative ICT technologies that will interact with the different building components such as windows, ventilation, monitoring and control systems and Renewable Energy Sources (RES) technologies to enable a promising nZEB renovation market. Visit RenoZEB website under: www.renozeb.eu to find out more about the project, including goals, project partners and timelines as well as links and relevant information about EU and national platforms on energy efficiency buildings. All news, information about upcoming events, public information relative to RenoZEB and public project deliverables will be published here. You can also use our website to contact us or sign up for our newsletter. The RenoZEB concept is defined as a holistic approach to Deep Renovation. It explains the workflow of activities within each one of the project’s life cycles covering planning, design, construction and management, including a selection of environmental and social Key Performance Indicators (KPI) along with the financial and energy ones. In addition, the framework defines the actors involved in performing these activities, the input/output to these activities, and the output visualisation. Currently, the research is focused on defining the most valuable components to be used for the RenoZEB plug and play facade system. These technological components are presently under evaluation to identify the best solution in line with RenoZEB requirements and final output expectations. The life cycle and carbon footprint analysis methods are also introduced, while a general architecture for the facade concept is proposed. The next step will be the definition of the concept design and the following system design. On 11 and 12 April, the RenoZEB team will meet in Tartu, Estonia. This will be the first occasion to visit one of the real demonstration buildings, which will be renovated with the RenoZEB technologies. 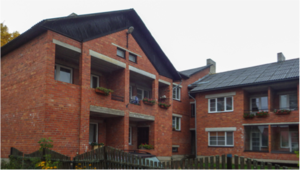 The building is a two-floor construction with sixteen dwellings owned by the apartment association “Rannaliiva”. Currently, the energy performance class of the building is E with 231 kWh/m2 per year and the expected performance after renovation is 120 kWh/m2, with a significant improvement of indoor climate. The demo case visit is an opportunity for project partners to better grasp and understand the characteristics of the building, the climatic conditions as well as user needs.